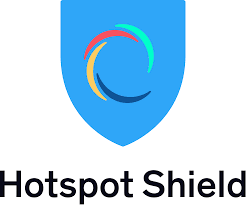 Home Trending Comprehensive Review of Hotspot Shield VPN: Is it Secure and Safe? One thing stands out when you think of Hotspot Shield VPN: the incredibly enormous user base. This VPN, operated by AnchorFree, Inc., has well over 650 million users. The user base has grown dramatically ever since they started the business in 2005. 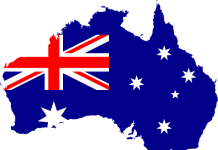 The VPN offers a free service as well as a premium paid option. 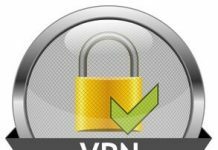 So, what makes this VPN so popular? In this guide, we’ll review the critical features of the VPN to see how valuable they are. Let’s start with beneficial aspects. Compatibility with multiple operating systems is a critical factor for any software to serve a wide array of users. In this regard, Hotspot Shield VPN works well on iOS, Android, MacOS and Windows (all the major operating systems on personal computers and mobile). Perhaps, the key feature that drives its enormous user base is the free offering. The free offer is uniquely structured in that you get daily data caps instead of monthly data caps. 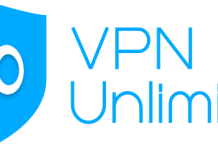 That makes it stand out from other VPNs and keeps many people using the VPN. When you use up your data limit, you don’t have to wait a whole month; you just wait to get more data allowance the next day. Another notable benefit is the number of servers it has. It offers more than 2,000 servers in 25 countries spread out across the world. In fact, you get servers in locations that other VPNs don’t offer including Russia and China. The VPN also caters for convenience with the easily accessible browser extension. And you’re not limited to one device since you can connect as many as 5 devices. Does Hotspot Shield Exhibit Fast Speeds? For anyone who has ever used a VPN service, speed is always a critical factor. Often the security and privacy of VPN services come with slow speed. However, Hotspot Shield remarkably delivers such privacy and security at incredible speeds. The fast performance has a lot to do with the VPN’s proprietary Catapult Hydra protocol. This protocol delivers incredible download speeds, and it doesn’t seem to be affected by distant locations either. The protocol works differently compared to most VPNs. It doesn’t depend on a single connection to one server. Instead, users are connected to many different servers at one go. This has the effect of making such connections stronger and faster even over long distances. The speed is most noticeable on European and Asian servers. However, the speed might not be as fast for United States servers, as noted by several reviewers. That’s a strange thing since the company is based in the United States. Is Hotspot Shield Safe and Secure? Safety and security is most likely your crucial concern when looking for a VPN. And Hotspot Shield VPN excels on this score too. The VPN has several features to keep your data safe and secure. A key feature is the high-level 256-bit AES encryption. This prevents hackers from accessing your valuable data. Besides that, it also has fail-safe mechanisms. After all, no truly secure system would be without that. The fail-safe mechanism is a Kill Switch. This Kill Switch is built within the VPN software. If the VPN tunnel goes down, the Kill Switch stops transmission or receiving of data. Most of all, the VPN has a strict ‘No logging’ policy. This means the VPN doesn’t record the websites you visit and the apps you use. Since anonymity is your key concern when using a VPN, you certainly would benefit from anonymity that starts right from payment. The good thing is that Hotspot Shield VPN offers a payment option that can preserve your anonymity. This anonymous payment option is redeeming a gift card. The company accepts hundreds of cards from many major companies. That makes up for the fact that the VPN doesn’t offer an option to pay with Bitcoin or any other cryptocurrency. You can also pay using the other less anonymous options, including major credit cards such as Amex and Discover, or PayPal. The ease of using this VPN is undoubtedly an important consideration. You definitely don’t want a complicated and cumbersome process, especially if you’ll use it frequently. Fortunately, Hotspot Shield VPN has a super beautiful user interface. You can’t get confused when figuring out the locations you want or changing the settings. You can quickly figure out everything with one glance. The advanced settings may not have too many options, but it does offer the necessary features you need from a VPN. Here’s a small description of the experience you get using the Hotspot Shield VPN Windows app. When the app opens up, you get a large on/off button at the center. When you click the button, the VPN connects within seconds, the on/off button floats to the top of the panel, and a map appears showing your new IP address and virtual location. You also get a figure showing your real-time data upload and download. It’s also great that the VPN connects automatically when you access any wifi hotspots or all networks. Anonymous torrenting is a big deal for many VPN users. Unlike other VPN services, Hotspot Shield fully supports anonymous torrenting. With the AES-256 Encryption, you can be assured that your data transmission is completely secure. 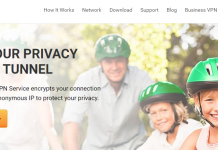 This keeps your torrenting safe from access by governments, nosey neighbors or ISP’s. Hotspot Shield even has a comprehensive document giving valuable instructions on anonymous torrenting. The VPN is also Netflix compatible. You can binge watch your favorite Netflix movies through the VPN’s U.S. based servers. However, that’s subject to change, and it depends on various factors. To get a smooth Netflix access, take time to read the directions on the Hotspot Shield VPN website to help you troubleshoot any problems you may experience. Now that you know the benefits of the VPN, you should also be aware of its limitations. This will give a more realistic view of what to expect. If you opt for the free service, you’ll find quite a bit of advertising. Considering that the free service offers daily bandwidth caps instead of monthly caps, the company certainly needed a way to make money from such a generous offer. With the premium option, you won’t get any such adverts. Although the Catapult Hydra protocol is excellent and delivers a super fast VPN service, it has some limitations. Hotspot Shield no longer supports OpenVPN and other standards, since the VPN only uses its proprietary protocol. Also, you can’t manually set up the protocol on your router, Chromebook, game console or any other place. Hence, you can only use the service in devices that have the VPN app. Since that features only Windows, Android, MacOS, and iOS, Linux users aren’t included either. Hotspot Shield certainly places great value on privacy. However, for someone who is extremely concerned about privacy, the intricate details might not be appealing. But the company also collects anonymous aggregate data regarding the websites users visit, as well as the apps they use. Besides, the company gathers your device information including OS version, hardware model, language, browser type, mobile network, and wireless network information. Such information isn’t connected to your identifying information like home IP address, email, and username, among others. The information is collected for troubleshooting and analytics. Also, the company collects your browsing data. Someone who wants complete privacy might be a bit concerned. 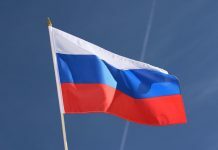 Fortunately, the company releases annual transparency reports to show that it doesn’t and cannot give governments your personal identifiable information, since they don’t collect information that can enable them to trace their VPN use to you. But in this regard, you should take note of the company’s legal responsibilities. AnchorFree clearly states that it has no intention of allowing criminal use of its VPN. Therefore, in instances when requested by law enforcement, the company does block access to specific domains. Also note that you have fewer privacy guarantees when using the free, ad-supported VPN service. Here, you may leak personally identifying information to advertisers. Therefore, the premium service would offer more privacy than the ad-supported option. 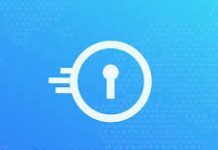 Hotspot Shield VPN is certainly a great tool for many people seeking a fast and relatively secure VPN service, especially those who love torrenting. Moreover, the pricing makes it a great option as a long-term purchase, since you get deep discounts with long term plans: a 3-year plan would cost you a mere $3.49 per month, which is a drastic discount from the monthly plan worth $12.99. Best of all, the guys at AnchorFree are not money-hungry marketers out to make a quick profit, as they give you an incredible 45-day money back guarantee. That’s certainly more than enough time to test the VPN and see if it fits your needs. If it doesn’t, you can easily get back your money. Some of the best VPNs that you might also want to read about includes our best overall NordVPN, ExpressVPN that’s excellent for streaming and torrenting as well as CyberGhost.